In this article you will find all kinds of information about the app, how you can use it and what it is compatible with. First things first, where can you get the app? In the Chrome Web Store, of course. Just look for Online-Convert.com and you will find it. Alternatively, you can click here. As it is a Chrome App, you will find it under “Apps” rather than under “Extensions”. 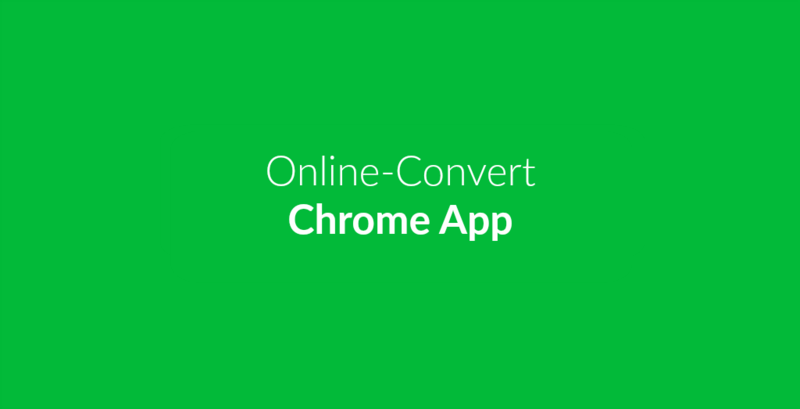 On the shop page, you will find all kinds of information about the Chrome app as well as a link to the Online-Convert website and a video on how to use the service. 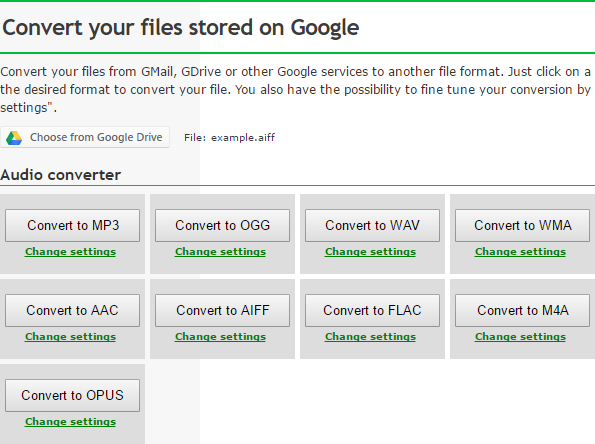 Simply add it to your Chrome browser and you can start converting your files directly from Chrome. 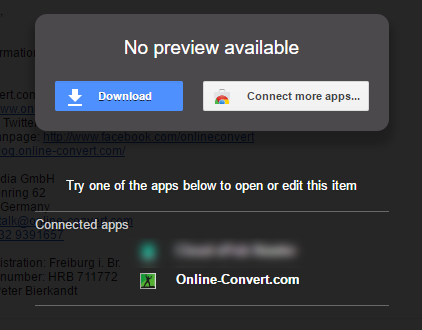 Once you installed the app, it is available for usage both in Google Drive and Gmail. Gmail is an e-mail provider provided by Google. If you receive a file as an e-mail attachment, you can open some of them directly in your browser. PDF documents and certain image files, for example. For other files, there is the Online-Convert app. Clicking on the file will open a preview (if available). 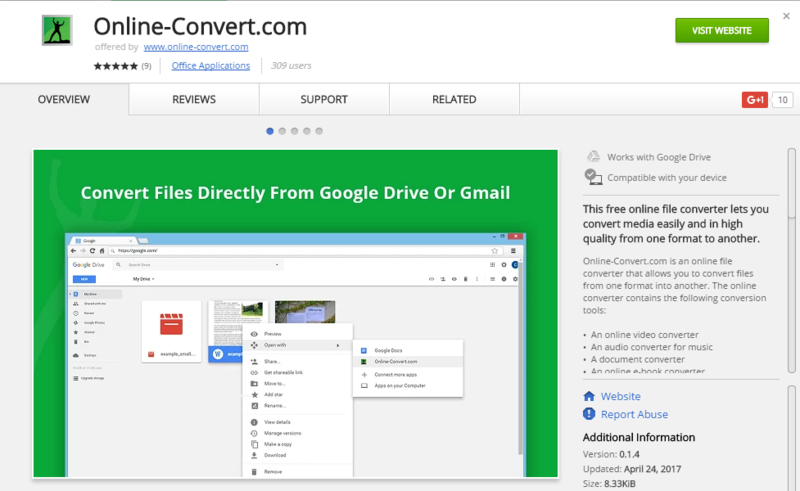 To open or edit the file, or in this case convert it, you will find the Online-Convert app at the bottom. The usage in Google Drive is just as easy. This cloud storage allows you to save your files online and access them from anywhere. With a simple right-click on the file in question, you can access the app after navigating to “Open with”. Once you clicked on the app, in both cases, you will be redirected to a page where you can choose the output format of the conversion. This means, here you will choose what file you want in the end. 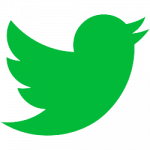 For example DOC or TXT, JPG or GIF, MP3 or MP4. After clicking on the format you want, the conversion will start. It will automatically download into the folder you specified for Google Chrome downloads. 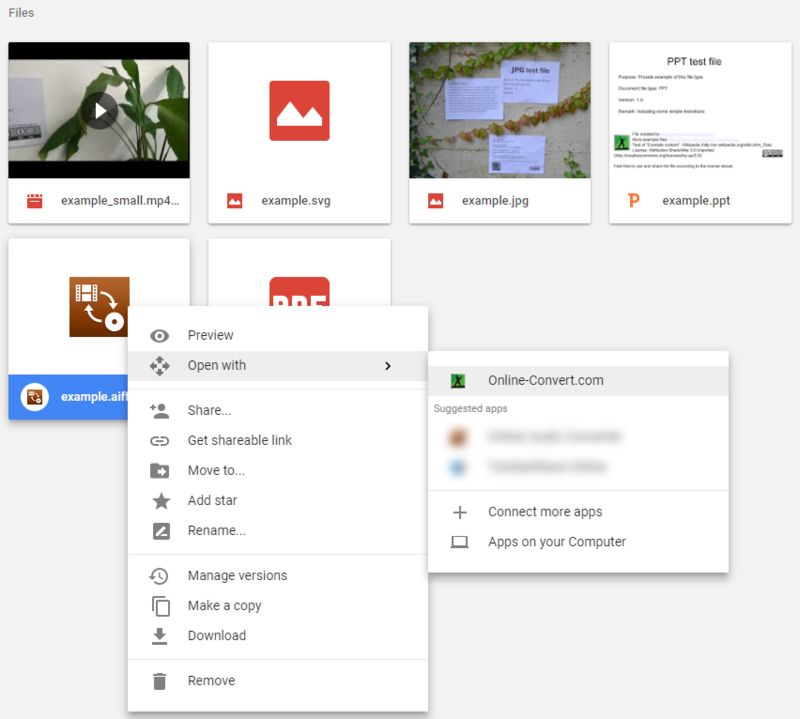 Give it a try and convert files directly from Gmail and GDrive.